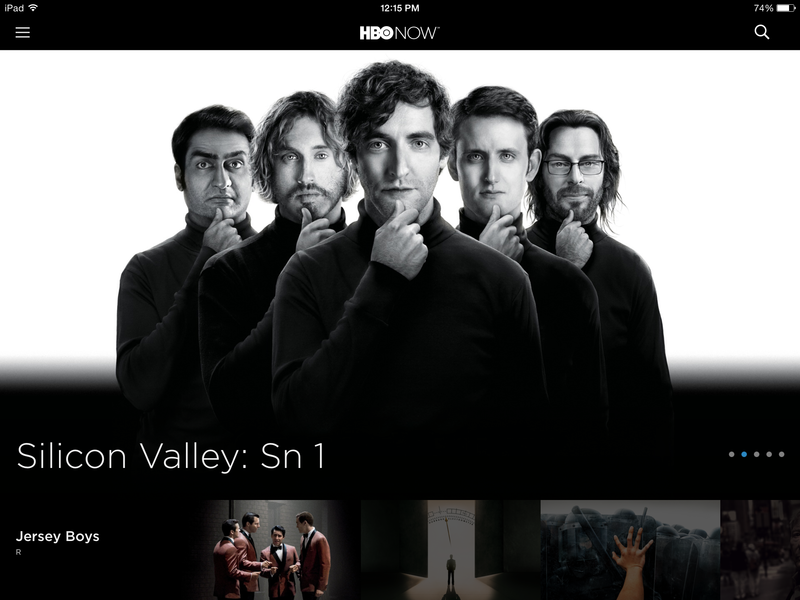 Earlier today, HBO finally released its HBO Now standalone streaming service, and because we’d be remiss in not trying the service out for you, we gave it a shot. While Apple TV is currently the only set-top streaming device authorized to bring HBO Now directly to your TV screen, we had no problem getting the stream running on the Consumerist Cave’s TV. Rather than use a mobile device, we accessed HBO Now through HBOnow.com, connected our laptop to the TV with an HDMI cord, mirrored the screens and changed the audio output on the computer to HDMI. It wasn’t as crystal-clear as watching HBO from a pay-TV provider, but if you want to watch Silicon Valley on the big screen this Sunday, you don’t need an Apple TV or a cable subscription. HBO has said since the service was announced that HBO Now would not offer live access to the premium network, but a number of reports have perpetuated the myth — especially in the wake of Sling’s announcement that it will carry live HBO access — that HBO Now would be a 1:1 replacement for the channel. This probably won’t matter to many people, so long as HBO adds new content to HBO Now in a timely manner. If users have to wait too long for new episodes of Game of Thrones to be added, there will be very angry cord-cutters in King’s Landing. We expect that, like HBO Go, HBO Now users can expect same-day posting of new episodes. Speaking of HBO Go, anyone familiar with that service will not be surprised by anything they see here. The interface is nearly identical and we couldn’t find any differences in terms of available content. The library of HBO shows is there, as is the selection on non-HBO movies. Heck, even the “Late Night” content is included. The only notable difference we encountered during our brief hands-on is the size of the in-browser player. If you’re watching HBO Now content on the HBOnow.com site, the player is much smaller than the one used in HBO Go. That said, both services allow you to go full-screen with a click. We accessed HBO Now through iTunes. The app itself is free (so your kids can’t accidentally subscribe you to a $15/month plan just by knowing your password), but you’ll then have to provide some basic info for the purposes of registration. It was painless, as such things go. We can’t comment on the Cablevision registration process as we didn’t go that route (because we don’t have Cablevision service). In terms of accessing the service through the HBOnow.com website, users who registered through iTunes will just enter whatever e-mail address and password they used when they set the account up. Users who registered through Cablevision go through an authentication login process similar to the way HBO Go users login. We haven’t cancelled the subscription yet, if only because we want to see how it holds up this weekend. However, the HBO Now terms confirm that subscriptions are sold on a month-to-month basis, so you can cancel whenever you want, though you won’t get any refund because you’ll continue to have access until the end of the month you’ve paid for. You also can’t cancel your subscription through the HBO Now site; it has to be done through whichever provider sold you the subscription to begin with. HBO Now is really exactly what most cord-cutters have been asking for since HBO Go launched — a version of that service that doesn’t require a pay-TV subscription. What remains to be seen is how well the service will hold up under high demand. That test will come Sunday night when millions of people crash the Internet trying to watch the season premiere of Veep. But considering that HBO doesn’t need to deal with those high-traffic concerns 99% of the time, the future of HBO Now will ultimately come down to whether or not all those millions of people who said they would pay for standalone HBO Go will part with $15/month for HBO Now.